Primary care physicians in China have reduced unnecessary antibiotic prescriptions for children with upper respiratory tract infections by one-third – an important step to combat antimicrobial resistance globally, according to a new study by University of Toronto researchers. 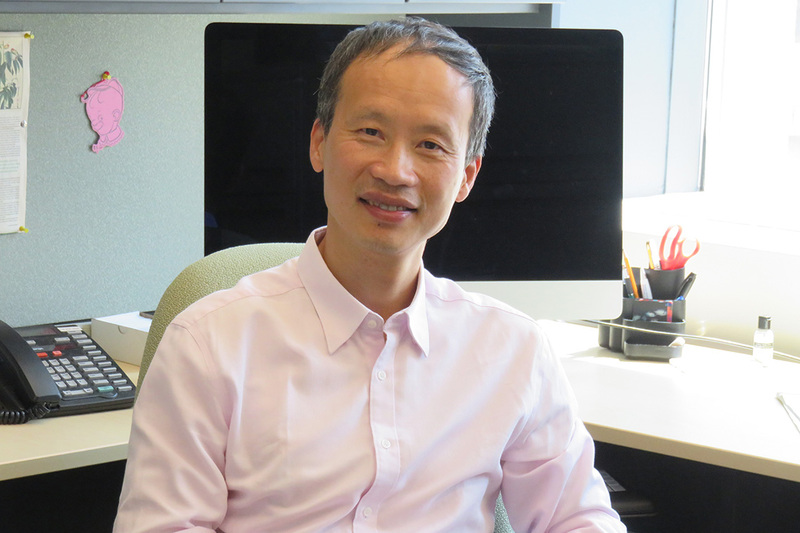 “No one has done this type of clinical public health intervention in a developing country, but in a relatively short time we’ve changed doctors’ knowledge and attitudes towards antibiotic prescribing, and seen the benefits sustained 12 months after trial activities stopped,” said Xiaolin Wei, associate professor of health systems and clinical public health and Dalla Lana Chair in Global Health Policy at the Dalla Lana School of Public Health. In China and many countries, including Canada, antibiotics are often prescribed inappropriately to patients with upper respiratory tract infections, including common colds, sore throats or ear aches, most of which are viral infections that don’t require antibiotics. The situation is often much worse in developing countries, particularly for children. Inappropriate antibiotic prescribing increases antimicrobial resistance, which makes infections and illnesses more difficult to treat and strains the health-care system. The study, Long-term outcomes of an educational intervention to reduce antibiotic prescribing for childhood upper respiratory tract infections in rural China, published recently in PLoS Medicine, was led by Wei, Qiang Sun, from Shandong University, China, Mei Lin from the Guangxi Centre for Disease Prevention and Control and Joseph Hicks and John Walley from the University of Leeds in the United Kingdom. The research team trained hundreds of rural doctors using clinical guidelines for appropriate prescription of antibiotics, helped these doctors review their own and their colleagues’ prescribing practices on a monthly basis, and provided a brief education on how to explain antibiotic prescribing to their patients and caregivers during consultation. “This study showed the power of connecting public health and clinical care at the point of service delivery,” said Professor Ross Upshur, a co-author on the study and Dalla Lana Chair in Clinical Public Health. A randomized trial of the intervention was previously conducted in 25 primary care facilities across two counties in rural China. In the new study, followup data was obtained from 14 of those facilities one year after the trial’s conclusion. In intervention facilities, the antibiotic prescription rate for children aged two to 14 years with upper respiratory tract infections and no illness requiring antibiotics remained 29 per cent lower one year after the intervention ended. The economical intervention cost three cents per percentage of reduction and less than $400 per health-care facility. “Participating physicians told us the trial helped build their confidence to push back on patient requests,” said Wei, who is also the vice-president of the International Union Against Tuberculosis and Lung Disease, an organization that deals with the multi-resistant tuberculosis in antimicrobial resistance, and an international pioneer in advancing implementation science in developing countries. Wei explained how the dynamic contextual factors in China led to different levels of adaptation among the primary care facilities. For example, in China physicians have a relatively short consultation time with their patients (less than five minutes per patient), so the research team had to ensure the physician education part of the intervention was concise and directly relevant. In-depth interviews with physicians revealed that key factors to maintaining antibiotic prescription reductions included improved knowledge and communication skills and focused prescription review meetings. Compared to facilities with lower uptake, high performing facilities had strong peer review systems led by respected physician champions who identified high prescribers and provided them with specific feedback on how to improve their prescription practices. This paper is one in a series of studies carefully guided by an implementation science framework for complex interventions. A process evaluation and cost-effective analysis were designed along with the trial. The study is one of many interventions led by Wei to take action against antimicrobial resistance and change global clinical policy. Wei is also collaborating with international policy leaders, including the National Centre for Disease Control and Guangzhou Medical University, to develop treatment guidelines for acute respiratory infections in all populations, with an aim to revise the national guidelines in China and other developing countries facing similar challenges.